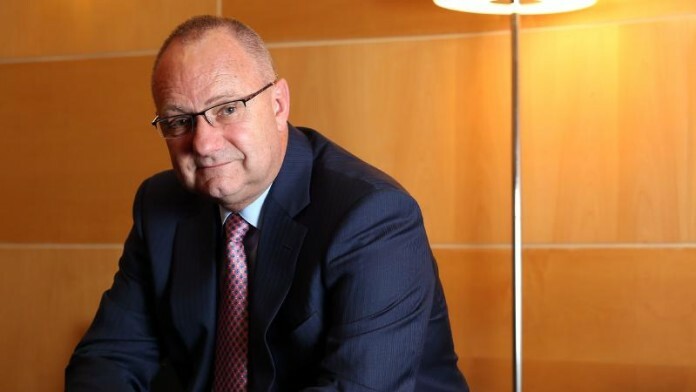 THE regulatory and policy environment of South African mining was significantly improved, but it was not yet sufficiently reformed to attract expansion capital, said Mark Cutifani, CEO of Anglo American. Cutifani said last year that South Africa would be in the mix for $1bn worth of new capital allocated annually by Anglo American provided the country’s Mining Charter was conducive to it. “If we can make the exploration regime user-friendly – and it’s not now – we would be interested in looking for copper, for example,” he said. Commenting on the sidelines of the Mining Indaba 2019 on the issue of whether the country had done enough to warrant new investment attention, he told Miningmx: “South Africa is in a substantially better place, but it’s not there yet. “You need to knock off the final points on the Mining Charter. We are 85% the way there. In 12 months, Gwede Mantashe [South Africa’s mines minister] has changed the mood and spirit of collaboration between the industry and the government. He has tried to be balanced, and he is talking in the interests of South Africa,” he said. The “final points” referred to in respect of the Mining Charter was a provision for re-empowerment when mining licences are renewed. Cutifani said the average tenor of mining licences owned by his group was about 21 years, but other companies were working to shorter time-frames. The other aspect of the Mining Charter which was deficient in his view was a requirement for the renewal of export licences every year to five years. A second issue was that infrastructure in South Africa had to be improved as there was short-term risk in dealing with Transnet and Eskom, the state-owned utilities responsible for transport and logistics, and for electricity supply respectively. “In three to five years we have to have effective infrastructure in allowing us to deliver product and at the right cost. The third element is partnerships,” he said. “We need to partner with communities.” Cutifani was the first CEO to present at the Alternative Indaba, a conference run whilst the Mining Indaba was underway, and that tackled the impact of mining from a community perspective. “The feeling at the Alternative Indaba was palpable and I got the brunt of it,” said Cutifani who listed concern about roads from community members as a talking point. Anglo would attempt to work out the exact nature of the discontent with road networks. “It could be the way we use the roads,” he said when asked if the concern was for more roads. In June 2018, Reuters published an article citing geologists aware of “an open secret” that Anglo had intersected important copper mineralisation in Brazil – a development that Cutifani acknowledged, but attempted to cool, saying the ‘discovery’ was only preliminary. He added, however, that Anglo proved it could “find stuff”. In addition to the potential Brazilian copper discovery, the group also had ground holdings in Equador, Australia, North America and was even looking in places such as Zambia. “If we are successful, the value creation is a multiple above that of buying an asset, but our exploration team is also very good at spotting early potential for mid-caps and juniors which are developing prospects”. He was responding to a question about whether the emergence of private equity seeking greenfields developments in lieu of mining company balance sheet attention would see the group paying large premia in the future. “We have become more strategic about what we expect from our exploration team,” he said. Anglo’s ‘prospect list’ was the highest Cutifani had seen during his five years at the group and was probably “… the best seen in ten to 15 years”. Now that it has been confirmed that the ANC government will make the theft of private property by the state for their friends and family legal, no one in huis right mind will invest in South Africa. Have you disinvested already? And have you emigrated? Yes, thank you very much (on both accounts)…. Yes, perhaps you should lead the disinvestment and disclose that. Are you going to emigrate to Australia, or New Zealand, or Canada? Because you can you know. More than 80% of us cannot, so we work with the few positives that we have. So give up your SA Citizenship and concern yourself with the affairs of the countries in which you have invested.